Contrasting panel polo shirts for a stylish and distinct look. 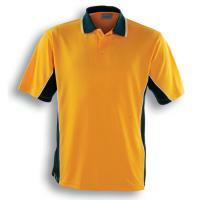 Branded designs and produces panelled polo shirts both off-the-shelf and custom-made. Panels are a simple and clean way to bring together a school's colours, resulting in striking looking shirts. The panels can be laid out in any number of ways, from simple side panels or contrasting sleeves to sophisticated multi-panel garments with detailed intersections. 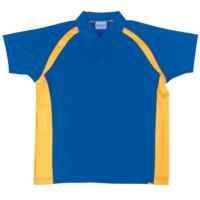 Panel polos are often finished with piping or tri-colour sections, customised collars (sometimes featuring text) and the school emblem prominently on the chest. Take a look at some of our example panel polos below. 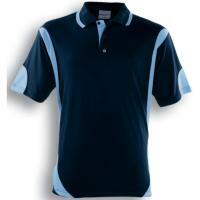 Also check out our sublimated and school polo sections for more examples. These are just examples as we specialise in working with each client to design and deliver the exact product you are seeking.